Kotak Mahindra Bank. File photo. 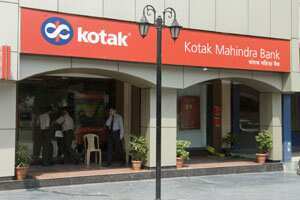 New Delhi: Days after the Reserve Bank of India (RBI) deregulated saving bank deposit rates, Kotak Mahindra Bank on Sunday hiked interest rate on such accounts. On balance of up to ₹ 1 lakh, the interest payable would be 5.50%. “Kotak Mahindra Bank also revised its base rate upwards by 25 basis points from 9.75% per annum to 10% per annum with effect from 1 November, 2011," the statement said. All categories of loans (other than the exceptions permitted by RBI) will henceforth be priced with reference to the revised base rate. The bank also revised its prime lending rate upwards by 25 basis points.